Charlotte, N.C. (October 2, 2016) - The 32nd annual All American 400 returned to its original 400 laps and featured drivers from all over the country competing for the prestigious All American 400 guitar given to the winner each year. 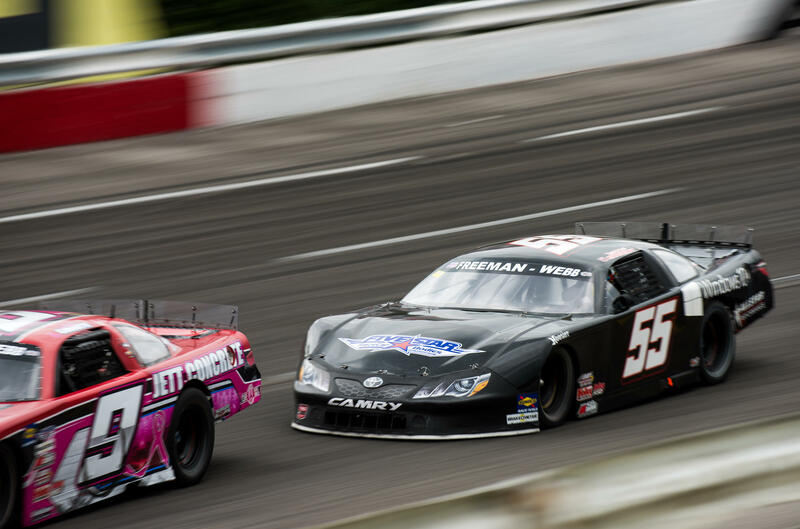 Dalton Sargeant had only competed at the historic 5/8 mile Fairgrounds Speedway at Nashville one time which was marred by an early incident and a DNF. 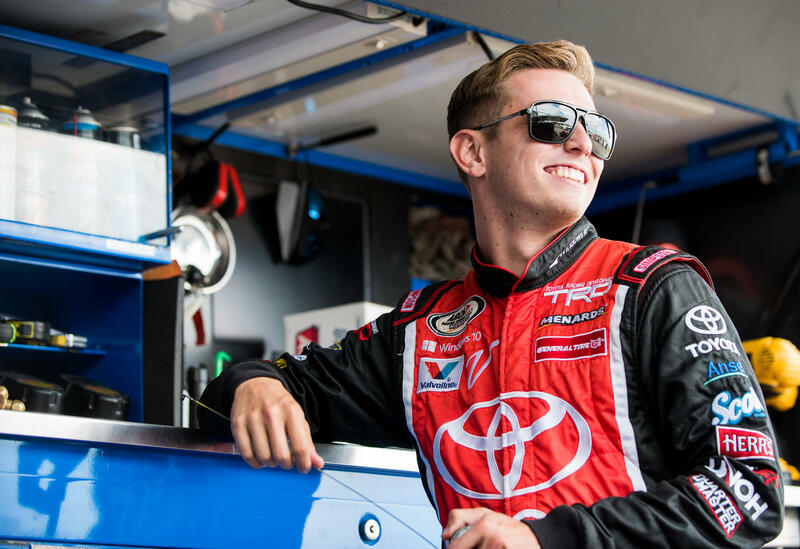 This time around, from the beginning of the weekend Dalton Sargeant and the Windows 10 Accelerate Motorsports Toyota Camry was one of the favorites to compete for the guitar. 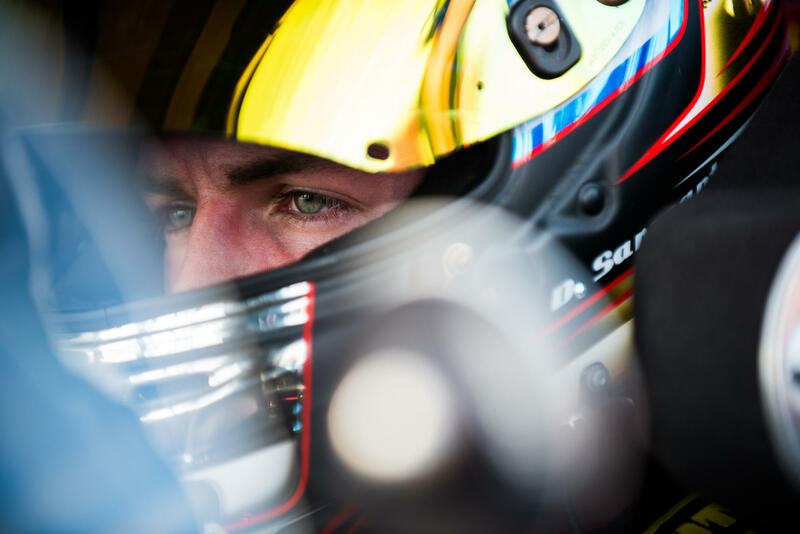 After running the fastest overall time in the final practice session, Sargeant backed up that speed by qualifying in the 4th position. From the moment the green flag dropped the No. 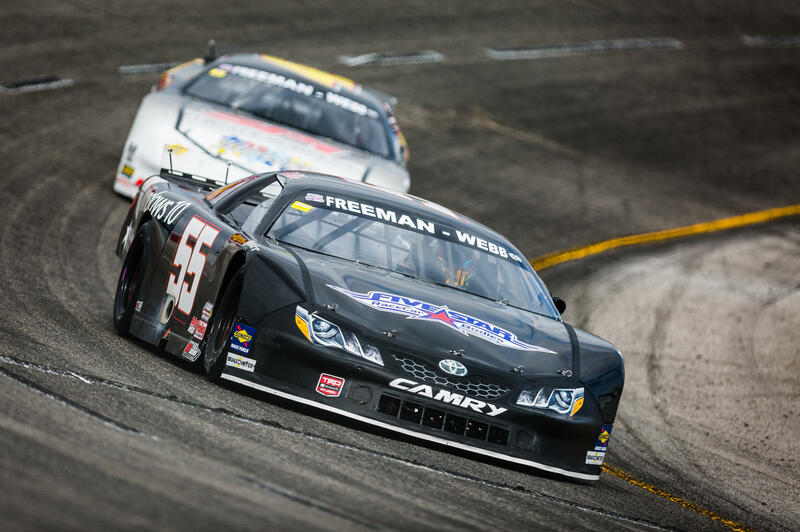 55 of Sargeant cemented himself in the top 5 running order, biding his time and saving his tires, Sargeant made all the right moves early and found himself battling for the lead halfway through the 400-lap event. 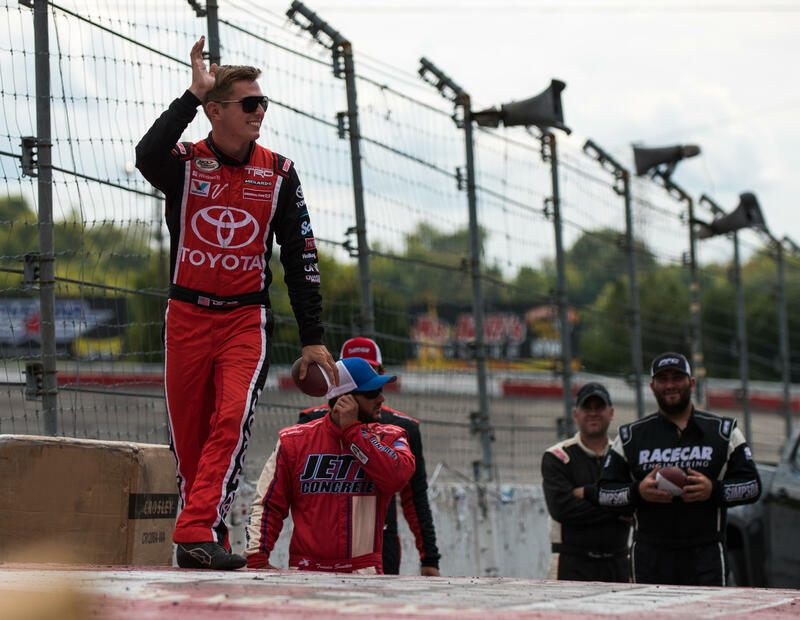 The Windows 10 Camry took the lead on lap 238 and led for a total of 75 laps but with 42 laps remaining, Sargeant was leading as a bizarre incident happened under caution coming to one of the final restarts. The competitor in second position swerved and made contact with the leader under yellow, causing damage to the left front suspension and power steering. After the contact, Sargeant had to limp the No. 55 home to an 8th place finish. "That was definitely a tough one, and I'm still not sure what happened under that caution. My Bond Suss led race team did a great job with the car all weekend, we were thrown a curve ball with a different tire than anyone normally runs and I think we adapted to the different compound the fastest. Its a shame we didn't end up in victory lane, we had the car and the speed and its sad and a shame that it ended the way that it did. We've got another really big race next week at Winchester so we can look to the future and put our sights on another trophy but we all wanted to win that race and had put ourselves in the position to do so."